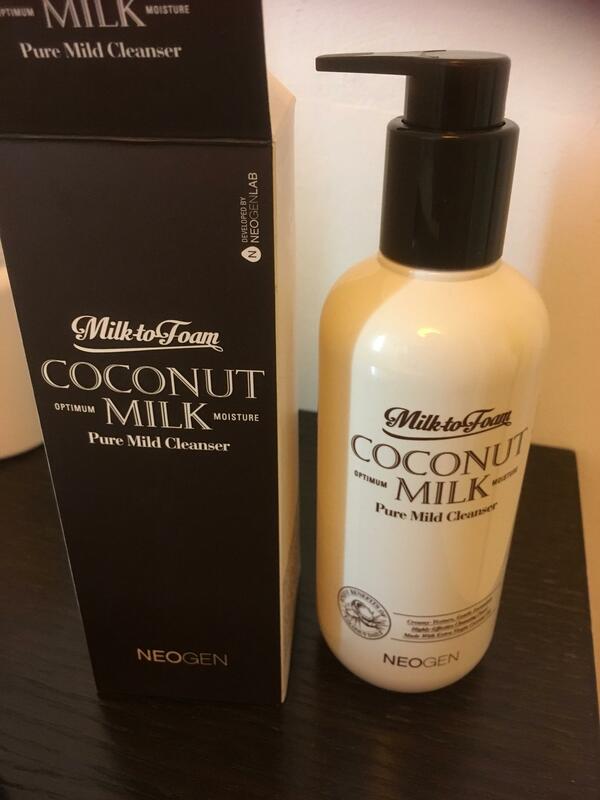 Radiant your Skin Care with the [Neogen] Coconut Milk Pure Mild Cleanser! we aim to provide you best korean products to take good care of your skin, including Cosmetics, Cleanser, Face wash. Hydra Face wash online. 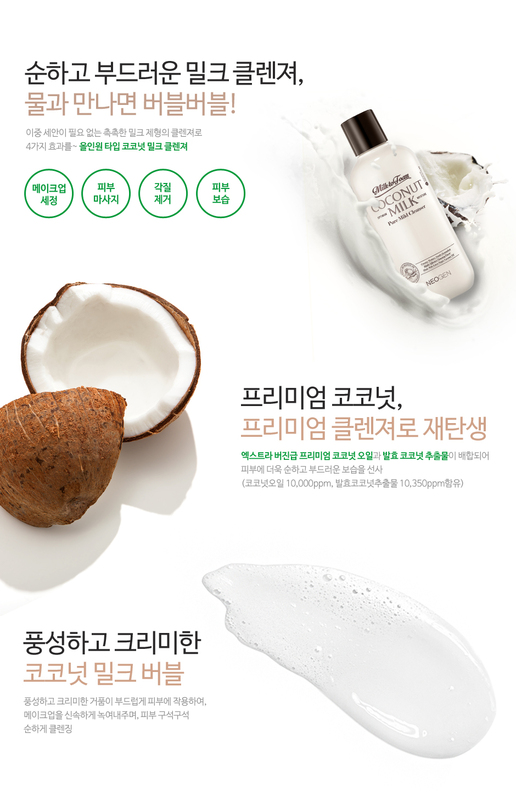 A gentle, creamy milk-to-foam transforming cleanser packed with hydrating benefits of Coconut oils and fermented Coconut extract helps to penetrate deep into the pores to remove all impurities, wastes, and daily dusts without drying out the skin during your daily cleansing routine. The concentrated coconut ingredient also effectively dissolves even the most stubborn, heavy water-proof makeup without applying strong pressure during your makeup removal which is perfect for both using as a daily cleanser as well as for women who wear stronger coverage makeup. 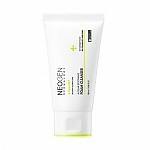 Formulated without 9 skin harmful chemicals along with clinical test approval as non-irritant, this is an ideal cleansing product for even sensitive skin types. On fully dried skin, pour an adequate amount to spread evenly across your face and briefly massage the product to help melt/breakdown any stubborn makeup. Then wet your face to create a foam lather and smoothly massaging your face in rolling motions. Once most of the make-up and impurities have been dissolved and removed, use lukewarm water to completely rinse off the the product from your face. *You may use on top of makeup and also as your daily cleanser on your bare face.